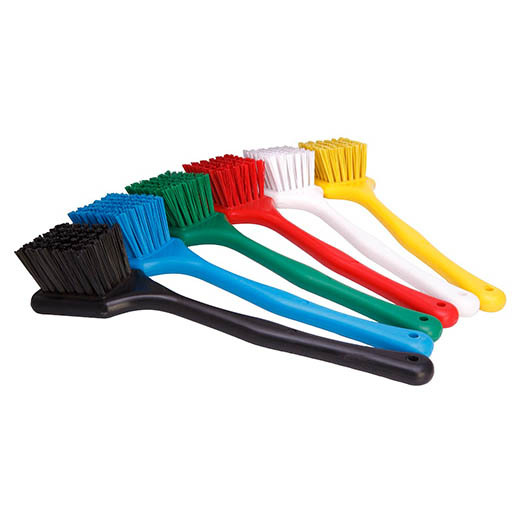 Long handles scrub brush with hard or soft bristles. Longer handle provides a safer distance when cleaning equipment and machinery. HACCP compliant. Suitable for use in hygiene sensitive areas.